Few days before the release of draft schedules for 2019,we have completed the full analysis for year 2018. 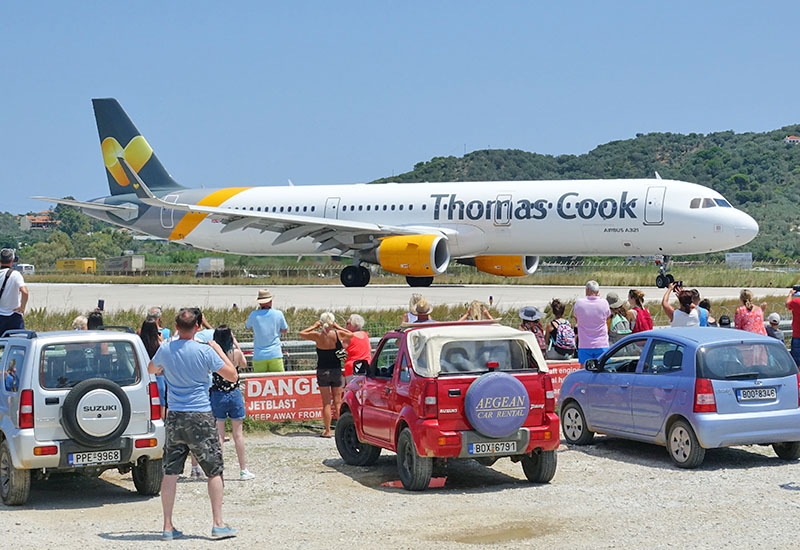 For one more year, we see a steady traffic growth in terms of passengers traffic on the island. 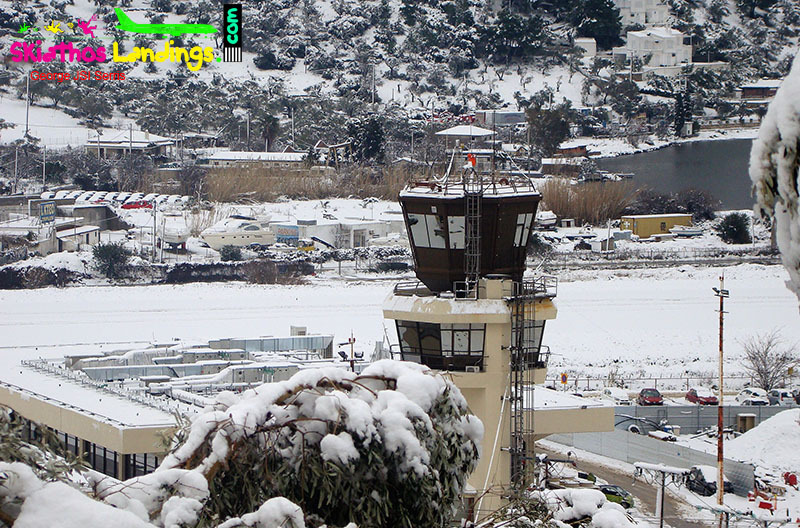 This growth is of course a benefit for the island, but arises a question about the validity of the study prepared by the Greek State, in order to calculate the value of the airport and to set the relevant price, when the contract was created. But, this is another analysis we will publish in the near future. 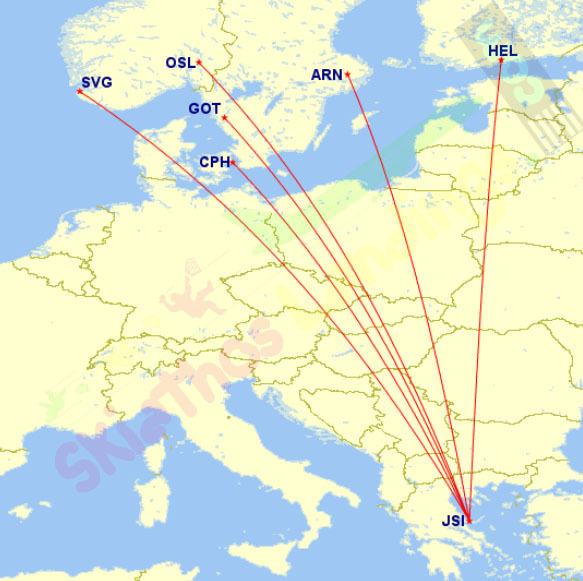 During 2018, twenty five (25) airlines performed 3.585 flights between Skiathos Island and thirteen (13) countries, carrying 437.916 passengers. 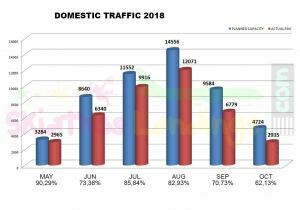 Above: Chart with yearly passengers traffic 2016 – 2017 – 2018. 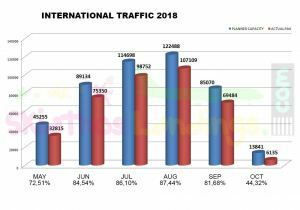 Most (almost half) of the total traffic,noted during two months, July and August. 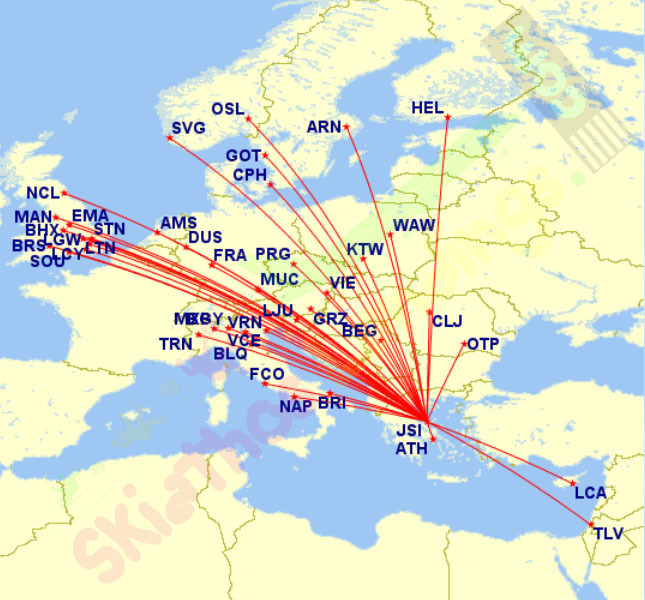 The following diagram shows the high season at Skiathos Island. The important value, is the load factor of flights. We have July and August with 86-87%. The value of 84% of June,could be possibly attract more airlines over the next season. Value of 81% in September, is slightly up from the borderline for an airline those days. 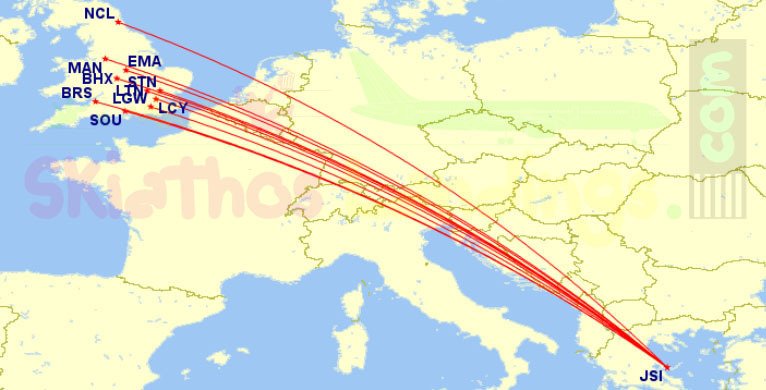 Another interesting information we get from the chart below, is the originally planned flights (during January-February 2018) marked with blue color, and the actual flights performed by red. Those data, in combination with daily observation of airport traffic and the passengers figures provided by airport operator, are the source for several calculations, like load factor for example. 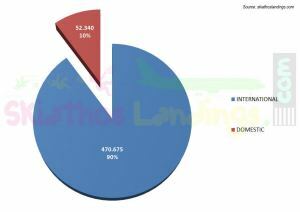 Above: Planned (blue) and actual (red) seats capacity of international flights, with monthly load factor. Below,same data for domestic flights. For low-season domestic flights load factor,a separate post will follow. 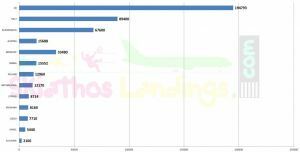 Above: Domestic passengers traffic share between two competitors, Olympic Air and Sky Express. 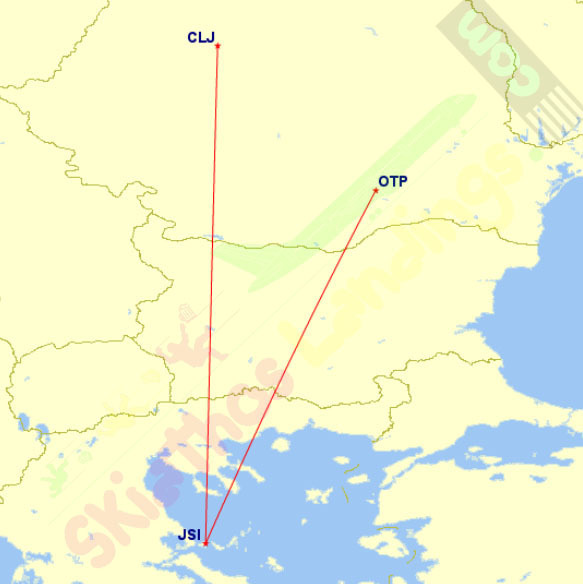 Above: Passengers traffic share between 25 airlines operated at Skiathos during 2018. Above: 2018 annual passengers traffic by country. UK still holding the majority of the traffic with double value of second country (Italy). An interesting value is the growth of German tourists visiting the island the last few years. Condor made the last flight for season 2018 in the end of October, as reported here.